Former Evanston Township supervisor Gary Gaspard speaks at a campaign event while running for the position. 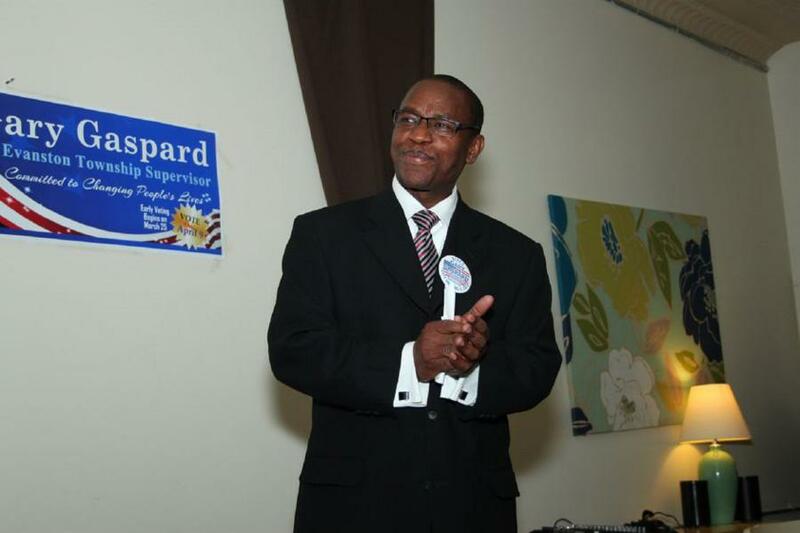 Gaspard announced his candidacy for mayor on Friday. Former Evanston Township supervisor Gary Gaspard will run for mayor, he announced in an email Friday. Gaspard said several concerned citizens encouraged him to run for mayor after meeting with several community leaders. He said he will make a committee to understand citizens’ concerns and ideas to improve Evanston. Gaspard served as Evanston Township supervisor in 2013 but resigned in October 2013 after less than five months on the job, citing an unanticipated time commitment. Gaspard said he values transparency and loyalty to his voters, and although he faced challenges as supervisor, he wants to work with his constituents to emphasize safety, education and economic development. “In my little short time, I have met every promise I have made to my voters,” Gaspard said. Evanston residents voted to dissolve the township in March 2014. Before then, the township was a separate entity that had the same borders of the city and provided tax advice and assistance to those in need. City manager Wally Bobkiewicz became the interim township supervisor after Gaspard resigned. Township services were absorbed by city management in April 2014. 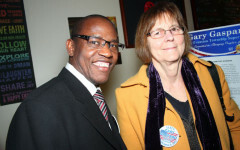 Mayor Elizabeth Tisdahl endorsed Gaspard for township supervisor, but said she has some concerns about his running for mayor. Tisdahl said he did not consult her before announcing his candidacy, and Gaspard confirmed that he did not notify her before he announced. Gaspard said even though he may face challenges if elected mayor, his “eagerness for change” will help him push for policy initiatives voters want to see. Gaspard received some criticism in August 2013 for a township budget proposal that included a 29 percent increase in spending. Ald. Delores Holmes (5th) said at the time that she had to meet with him twice before his presentation to the committee because the original draft was “embarrassing.” The Human Services Committee refused to recommend his budget. Holmes declined to comment on his candidacy. Gaspard said the budget was drafted within the first few weeks of him taking office as township supervisor. Ald. Brian Miller (9th), Ald. Mark Tendam (6th) and entrepreneur Steve Hagerty are also running for mayor. The election is April 4, 2017.